As North Melbourne prepares to travel to Adelaide for the first time in 2014, it’s often forgotten that a piece of the club’s silverware was earned in the city almost 40 years ago. 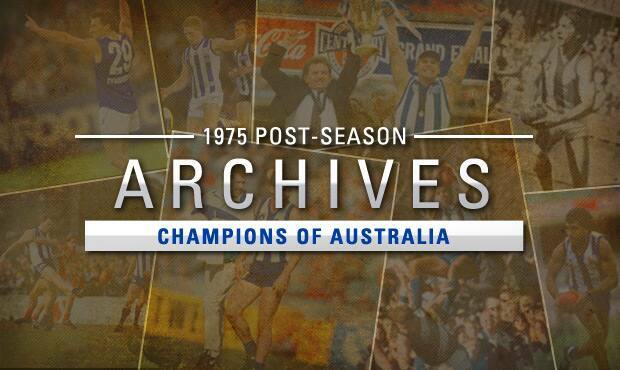 Following the 1975 premiership victory over Hawthorn, the Kangaroos travelled to South Australia to play in the State Premierships’ Championships Cup, a competition between the premiers of the VFL, SANFL, WAFL and TSL. In a single knockout format, the winner would have to defeat two opponents in the space of three days. 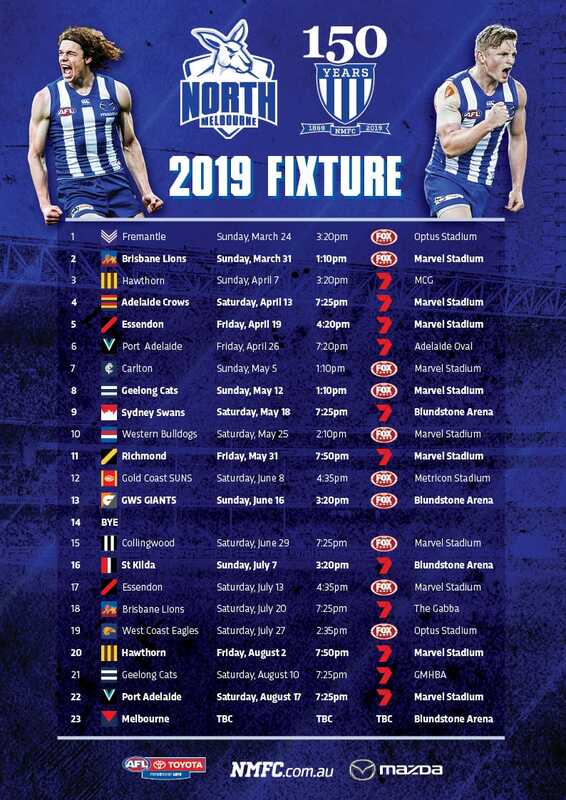 North started its campaign on Saturday October 11 at Football Park (now AAMI Stadium) against West Perth, the WAFL premiers of 1975. Considering the West Australian side had just won its Grand Final by 104 points, it loomed as a tough task for the Roos. However, the game was all but over by quarter-time. Taking advantage of a brisk breeze, North piled on 16 scoring shots in the first term. A total of 7.9 had the reigning VFL premiers leading by 50 points at the first break. From there, Ron Barassi’s team cruised to victory, eventually triumphing by 39 points. The goals were evenly shared around; Malcolm Blight, Wayne Schimmelbusch and captain Barry Davis all kicked three each. The victory saw North progress through to the final, and a chance to win a second premiership in just a handful of weeks. Its opponents would be the home town team in Norwood. The Redlegs had earned their spot by defeating Glenorchy by 33 points and looked to be worthy opponents for the Kangaroos. North entered with an unchanged side from the previous game. With no wind to speak of on the day, there wasn’t the same advantage available in the first term as the clash against West Perth. Nevertheless, the Kangaroos still started well, taking a 12-point advantage into quarter-time. It was in the following two terms where the game really broke open. Malcolm Blight burst to life, and alongside him Robert Smith terrorised the Norwood defenders. North kicked 11 goals in the middle two terms, and the duo were responsible for 10 of them. At the other end of the ground, Norwood kicked just three goals and with one term to play, the Kangaroos led by a comfortable 66-point margin. From there the result was academic and North cruised to a 76-point victory to be crowned the Champions of Australia. Blight was a deserved winner of the Winfield Medal, awarded to the best player on the ground. Following North’s victory, the cup was never played for again. So although it is supposed to be passed around in perpetuity, in all likelihood it will be behind the glass at Arden Street for a very, very long time.